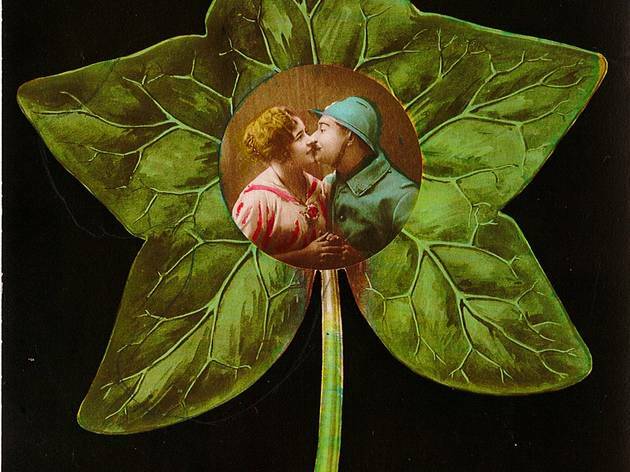 © Galerie Fait & Cause / M.C. 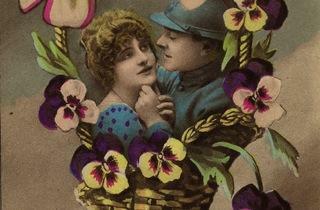 Kisses, flowers, hearts and soldiers. 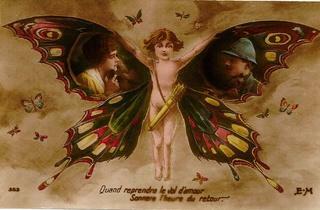 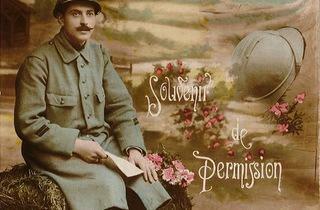 In the midst of the golden age of the postcard World War One breaks out, precipitating a new era of epistolary art. 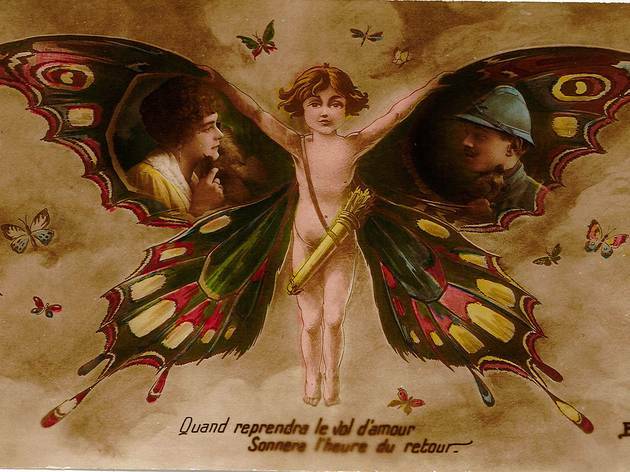 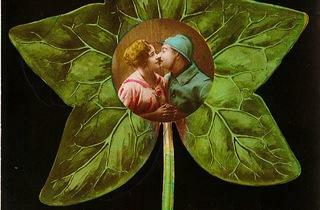 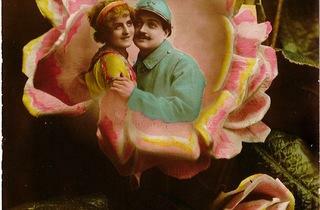 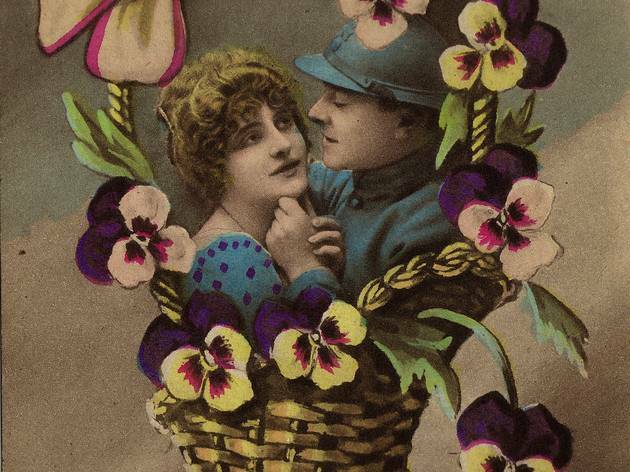 Postcards, erstwhile canvases for the fanciful art of the Belle Epoque, become vessels for communication between soldiers and their loved ones. 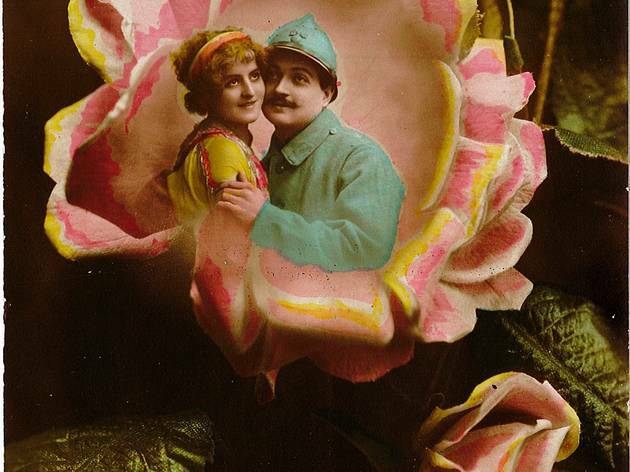 Not that this led to tamer illustrations: as the collection on display at the Fait & Cause gallery attests, cards from the war period were adorned with a dizzying mish-mash of photomontages, powdery colours, high kitsch and melancholic portraits. 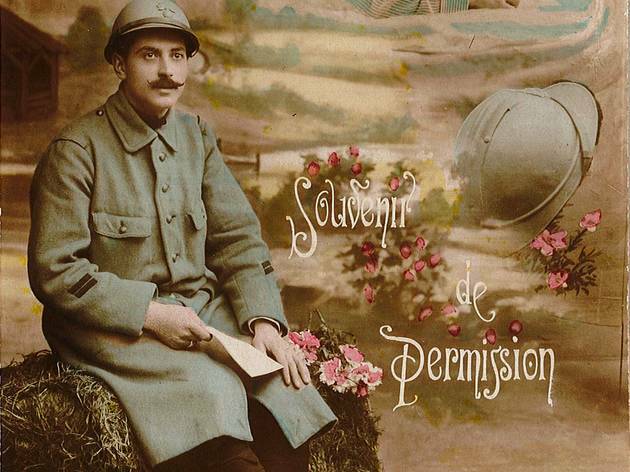 These relics speak not only to the suffering of life in the trenches, but also to the flourish of creativity that war provoked one hundred years ago.